Photo transfer on stained industrial coffee filter. Chrome tanned leather, paper, vintage patterns, waxed thread & antique thread spool. Japanese stab-stitch binding. Antique industrial thread spool, oil tanned leather, handmade papers, waxed thread & hard-cut masonry nails. Japanese stab-stitch binding. Book folder: 6.25 x 12.25 x .25 inches. Book: 6 x 12 inches folded & 6 x 54 inches displayed. Various papers with Photoshop collages & waxed tread. 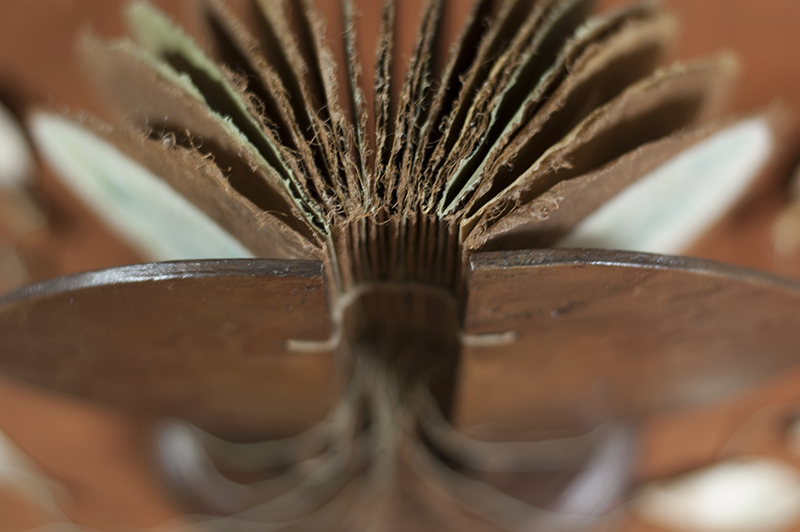 Concertina binding. Various papers with Photoshop collages & waxed tread. 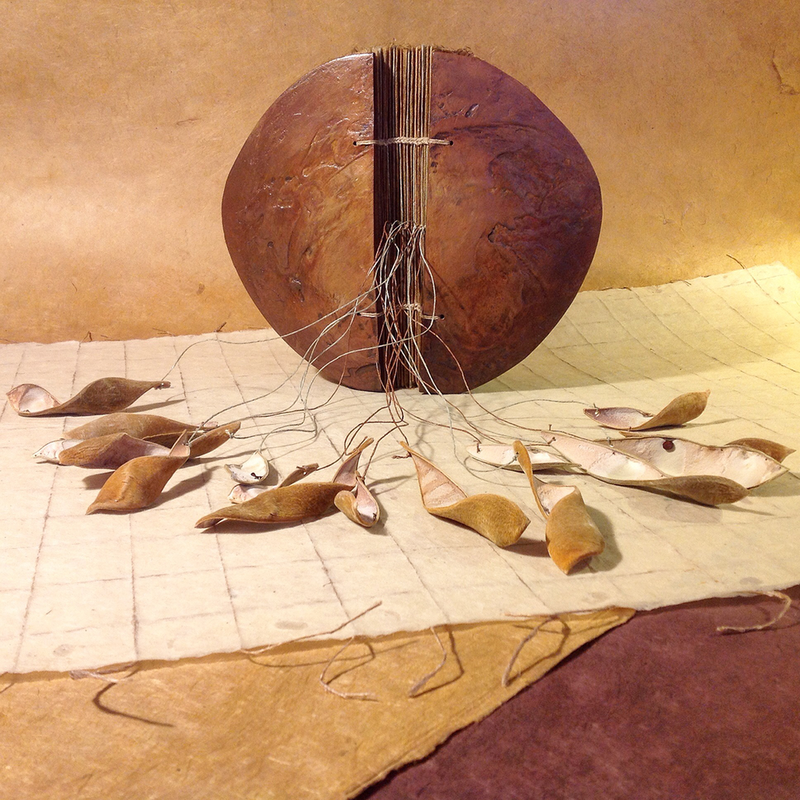 Sculpted wood cover (large wisteria seed), MM on handmade papers & tied wisteria pods. Coptic binding. Hand-painted wood cover, handmade sandpaper weavings, Arches 300 lb WC paper, gold leaf, waxed thread. Coptic binding. Sumi ink abstracts on various handmade papers, waxed thread. Concertina binding. Handmade papers, Photoshop collages of photos of the Southside of Chattanooga. 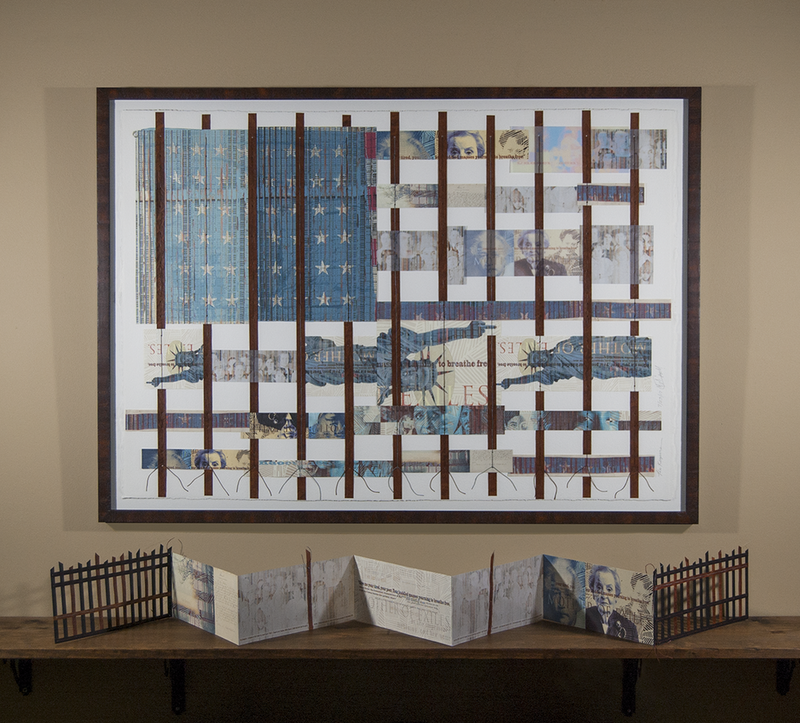 Flag book binding. Public-domain Photoshop images of classic Hollywood stars with interwoven faces on Ivory Linen paper, waxed thread. Combined square flexigon & concertina binding. Various Photoshop collage remnants, waxed thread. Miniature tied binding.